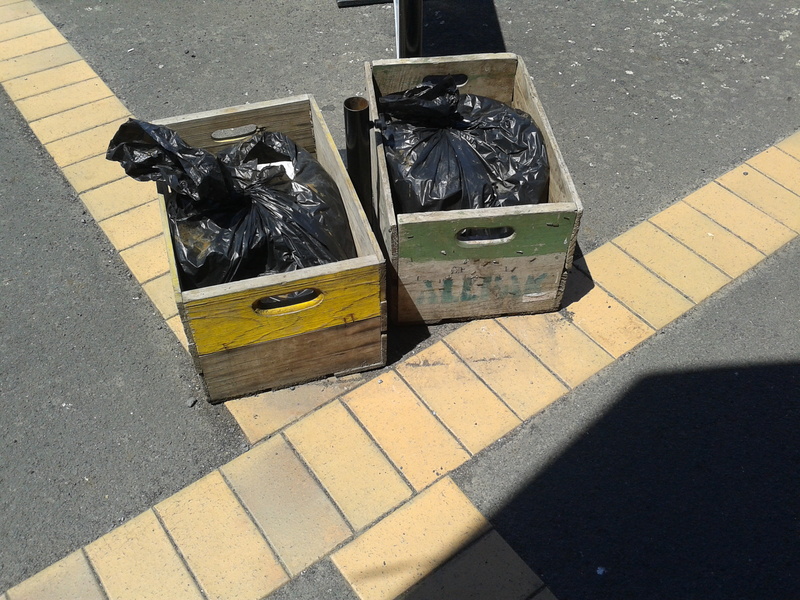 Two empty wooden boxes, which have clearly seen better days, loitering in serene harmony on the pavement outside a street cafe on State Highway 1. Thousands of cars pass by each day and pay no attention to these remnants from a by-gone era. Pedestrians deposit rubbish into the black bags encapsulated by these very roughly nailed together bits of timber. Could we have seen these boxes on the same spot yesterday? Probably. Are they likely to be there again tomorrow? More than likely. Are they worth a second thought? Why is one of them yellow and the other one green? Why are there faded letters visible on the green one, spelling the word ‘ALPACK’? How old are they? What was there original use? And by now readers will be asking why SAUERKRAUT is getting so excited about a couple of old wooden boxes he nearly tripped over, rounding the corner in Tirau on a sunny Sunday’s afternoon. Those blog afficionados with a little history in the produce industry will, just like I did, spot the irony of those two unlikely mates leading a peaceful co-existence. 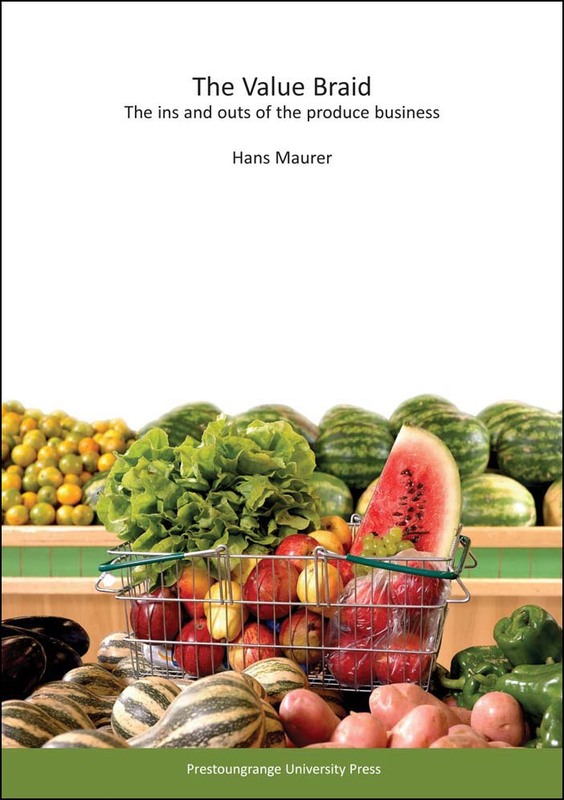 And if you are interested in understanding what functions these boxes used to have and what this had to do with the produce industry, please start with having a look at this document. Written only ten years ago but a life time away. Posted: February 11th, 2013 under Industry Politics, Produce Companies, Supply Chain. The problem with a site like Facebook is that one can’t really control what ends up being displayed on one’s site – one’s ‘friends’ can have a devastating influence on the state of one’s page. I was therefore delighted that this doodle “turned up” today. How apt. I am sure you can all relate to it. I certainly can! From a business perspective, the “How Do I Do It?” is the most important step on the scale. Once I get to the point of asking THAT question, I have accepted that the journey needs to to go into the indicated direction. And IF one spends enough quality time getting the answers to the HOW question lined up, one’s chance of being able to dance on the table top in celebration at the end of the journey, will have exponentially increased. 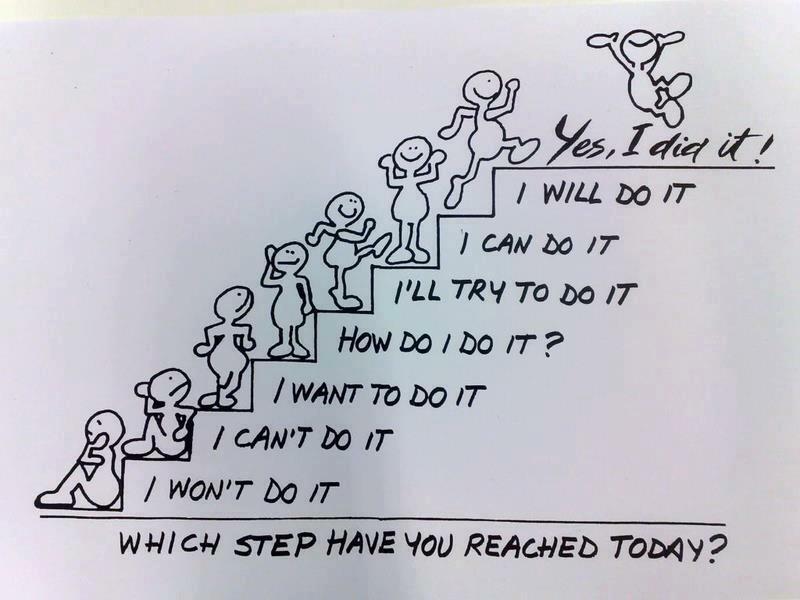 Unfortunately, one doesn’t get beyond Step 2 too often – “I Can’t Do It”. 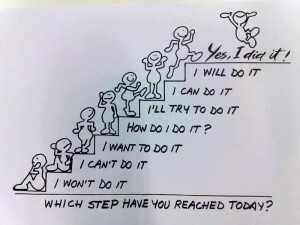 So How does one get from Step 2 to Step 4? “I Want To Do It” is certainly part of the answer, but is it enough? Not by a long shot I am afraid! How about “I Believe in Myself?” Isn’t that also part of it? Taking ownership of the problem? Equally applicable to solving produce industry related problems as it is to solving one’s own life situations. Wouldn’t it be great if one could increase the amount of time one gets to dance on top of the table by a factor of ten in 2013? Posted: February 4th, 2013 under Thoughtpieces.